Did you catch the Oscars? If you did, you saw lots of public acts of advocacy – most notably, Frances McDormand’s call for inclusion waivers during her acceptance speech.But, if the past month has taught us anything, it has taught us that you don’t need fame or a global stage to be an active and effective advocate. The students who are leading an amazing campaign out of Majory Stoneman Douglas High School are just kids, affected by heartbreaking tragedy and compelled to make a change. Of course, the majority of them are also involved in the arts. At Appel Farm, we know the importance of arts education because we see its transformative power every day. Now, we’d like to offer you some insight as you march forth to advocate for quality arts education in your own communities. It’s easy to find data online these days, so do some research! Do your best to collect information from reputable sources and studies. 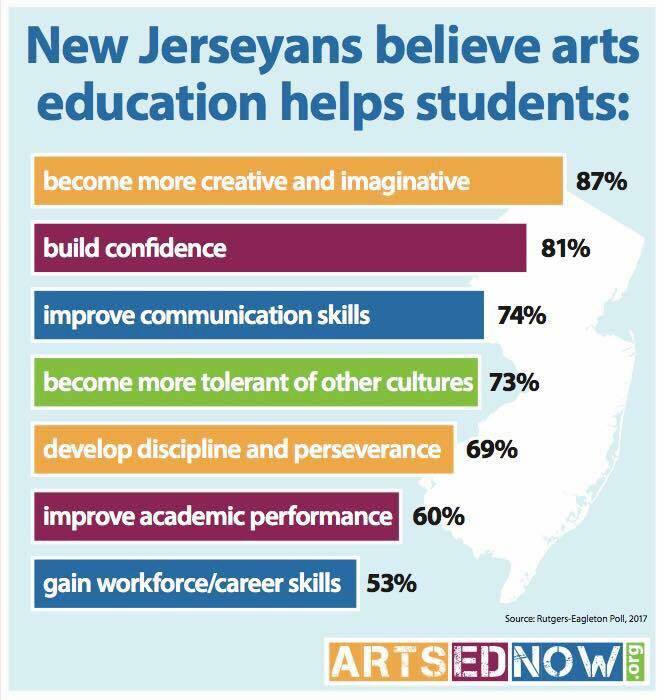 It is always best to pair this kind of hard data with personal stories, so along with sharing the proven benefits of arts education, express what the arts have helped you or your kids accomplish. 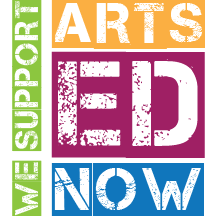 Visit Arts Ed Now Facts & Figures or Americans for the Arts for useful info, strategies, and graphics you can use in advocacy efforts, and visit Appel Farm Arts in Schools for creative solutions to include more art in your schools. Arts Ed NJ has a useful tool to help you learn more about the schools in your school district. The Interactive School Performance Dashboard offers insight into arts education statewide but also allows you to drill down into very local data about student participation in the arts. From there, you can determine specific challenges and develop advocacy strategies. Take the time to go to school board meetings and get active in the school board elections. If you still don’t feel heard, consider running for a seat on the board! The National School Boards Association is a great place to start if you have questions about protocols and responsibilities. You have information. You have passion. You have a network. You have a story. You have a voice. You have a vote. Once you have all of this knowledge, you can suggest solutions and help shape your school’s future. Now, march forth and advocate! Want to show solidarity with advocates from across the country right now, during Arts in Schools Month? Next week, on March 12-13, a team from Appel Farm will be taking part in Arts Advocacy Day, hosted by Americans for the Arts. Monday will be a day of training and Tuesday will include scheduled visits on Capitol Hill. Dip your toe in the advocacy pool by using the hashtags #SaveTheNEA #ArtsAdvocacy #ArtsEdNow #ArtsEdNJ on social media to share the impact of the arts and arts education with your legislative leaders.